Look at Nokia making waves! The phone manufacturer (among other things) hasn’t come out with a decent handset in a while, but shocked everyone and their mother at Mobile World Congress 2013 when they introduced the Nokia 105 — a $20 smartphone that features a 1.45” bright color screen and a battery that can last a full month on a single charge! Now, granted, this phone is not likely to be the next big thing. It’s no iPhone. It’s no Galaxy S IV. Heck, it’s not even in the same boat as Blackberry’s new Z10 phone. But what it lacks in glitz and pizzazz it makes up for in functionality. What I mean by that is that it’s a modern-day phone, complete with apps and other smartphone functionality, but it’s simple enough for the gadgetphobic to be able to use without wanting to shove the device down the trash compactor. And it lasts. Boy does it last. 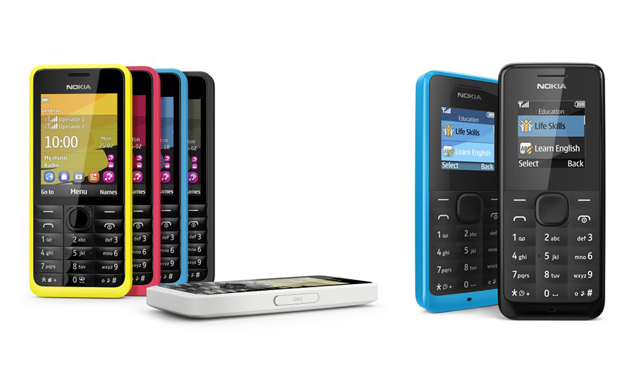 The Nokia 105 can provide 12.5 hours of actual talk time and up to 35 days on standby all on a single charge. That’s pretty good considering that the type of person who would get a phone like this is less interested in its ability to get on Facebook, tweet through Twitter, or stream music through a Bluetooth portable speaker, and more interested in getting in touch with their grandchildren, er, I mean, hip friends. Nokia is positioning the phone as “the ideal device for the first-time home buyer” and saying that it could also be brought into the developing world as a means for introducing the population there to mobile technology. For those who already have a top-notch phone, the company suggests the Nokia 105 as a good back-up phone for emergency situations. The phone itself features a one-piece pillowed keypad that’s both dustproof and splashproof. It comes with five preloaded games, flashlight, five alarms, FM radio functionality, speaking clock, and more. They’re expected to begin rolling out in the coming months. Wow — I haven’t seen a Kickstarter campaign off take off like this since, well, we put our newest portable speaker on the site a few months ago. The device below is called the 3Doodler and it was created by WobbleWorks. Basically, it’s a pen that allows users to create objects simply by drawing them, whether it’s on paper on in the air. That’s right – it’s the world’s first 3D printing pen. What’s great about the 3Doodler is the fact that it does away with the need for a bulky printer. It uses ABS plastic to build the object and it draws in the air or on most surfaces. The device simply extrudes heated plastic which quickly cools and solidifies into a stable object. As you can see, it’s pretty easy to use and doesn’t require any computers / software / additional hardware. The user just plugs it in and the pen’s ready to start drawing. It can be drawn in the air or on flat forms and peeled off paper in separate parts to later be joined together. 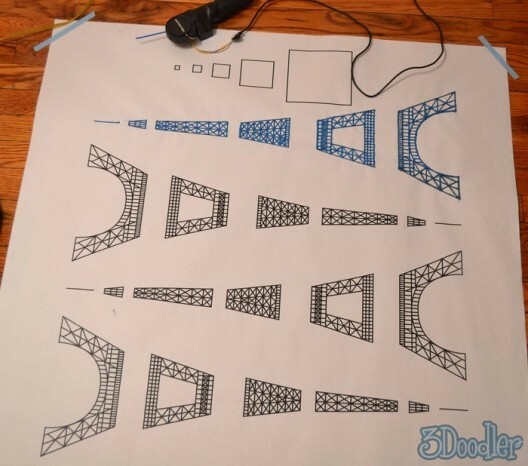 A 3Doodler stencil kit will be made available online to help first time users with getting started out and familiar with using the pen. The original goal for 3Doodler on Kickstarter was $30,000. Today — February 21st, it’s already surpassed that goal (with 31 days left). In fact, it’s already achieved $1.38 million. You could have 200 Boombots—or a six-foot, fully-animated dinosaur. Your choice. Scotland’s largest toy company, H. Grossman, are going all out with their latest toy—a fully animated, unbelievably large, and ridiculously priced dinosaur. Pretty cool looking, right? This 20-foot-long “toy” is called the Animated Megasaurus and it does everything but eat your kid brother; that is, it makes grunting noises, breathes, and even moves its head, eyes, mouth, body, legs and tails whenever somebody walks by. Some models even have the ability to walk around. Freaked out yet? If not, you’re about to be. The price for this ridiculously awesome toy—$14,000. That’s right—approximately 200 of our awesome portable speakers. For a pet dinosaur. Money no object for you? Then you’ll be pleased to know that H. Grossman offers options so you can have some variety in your backyard Jurassic Park. The model above is the T-Rex, but there’s also the Triceratops model available, too. They all do the same thing—sensors pick-up nearby movement and spring to life when anyone walks past them. This whole story is a bit tongue in cheek, of course—not everyone can afford this toy. And H. Grossman is aware of this. That’s why they have smaller versions of these dinos available for a bit more reasonable price too. Need to get a gift for a person that you pretend to like but secretly want to see suffer just a little bit? Here’s an idea: an alarm clock. Not just any alarm clock though: the singNshock alarm clock. Sure, on the outside it might look like a normal clock. Heck, it even functions as a normal alarm clock. But what makes this the perfect gift for the snooze-happy friendemy in your life is that it possesses the ability to deliver an electrical pulse to shock them awake. Created by 19-year-old automotive design student Sankalp Sinha, the clock’s electricity is transferred via the device’s snooze button, a large aluminum coated button at the top of the clock. Every time the person rolls over to hit the snooze, they’ll receive a few millivolts through their hand. Sinha came up with the idea after using electric shock to jumpstart his brain in the A.M. after waking up late for class a few days in a row. The feature can, of course, be turned off. Also worth noting about the clock: digital touch panel on front controls battery power, speaker volume, brightness, music selection, and time. There’s a MMC slot for a 32GB SD memory to store favorite music, and while the clarity of the sound is nowhere near that which you’ll find in one of our amazingly loud portable speakers, there are speakers built into the back of the device. 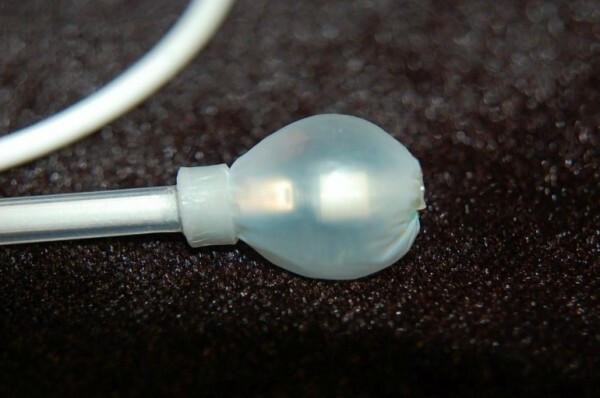 Try this on for size — inflatable earbuds that are guaranteed not to pop out. Asius Technologies presented this solution at the just-concluded International CES show in Las Vegas (which was also the site of some shenanigans being pulled by the makers of the world’s best portable speaker — but I digress). While they might look like mini airbags, what they lack for in style they make up for in the form of some pretty-damn-cool technology. You see, the strong yet flexible Gore-Tex earpieces are able to inflate time and again in accordance with the sound pressure created by one’s listening device. This means the buds themselves possess the ability to shift their shape as one’s ear canal changes—this could be during a yawn, while chewing, or naturally, as an individual grows. They’re essentially moldable earbuds that fit more easily and effectively than anything Apple or the Beats by Dre clan has put out in the last few years. The result is not only a better grip in your ears, it also makes for better sound by eliminating outside noise that would otherwise creep in through the crevices created by an unnatural fitting earbud. Durability’s not an issue either — the prototype the group created has already lasted two years with constant inflating / deflating. 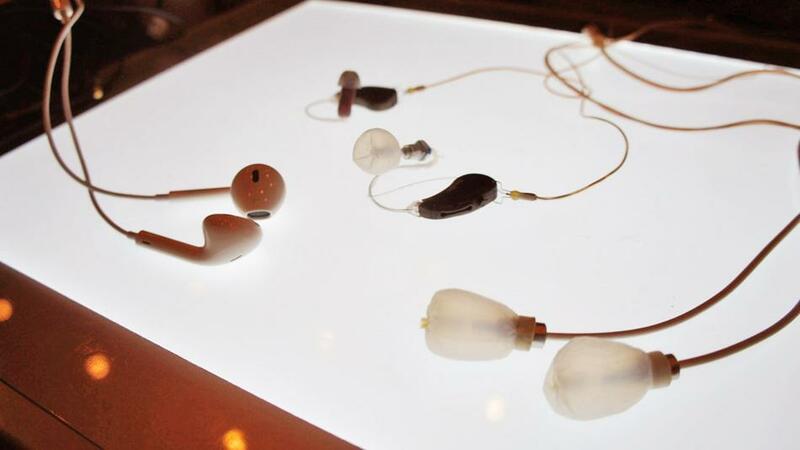 Also, beyond listening to music, the earbuds can be used for hearing aids and for performance artists at concerts or shows, where they’re a bit more physically engaged in moving around the stage. From one group of audiophiles to another, nice work Asius!